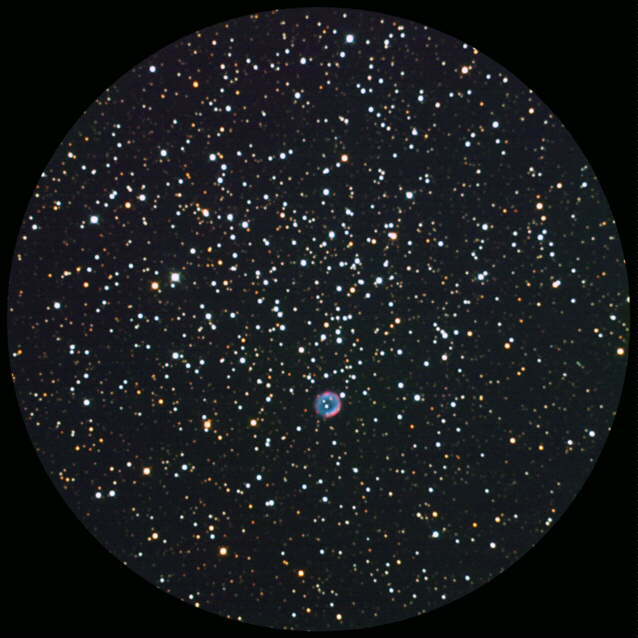 The nebula part has been composed on the L-ch of wide view image by HPC-1. 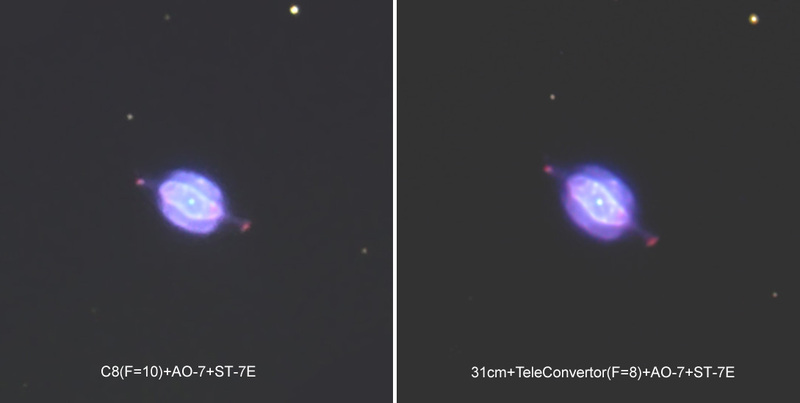 One iteration by CCDSharp L-R deconvolution "after" DDP. 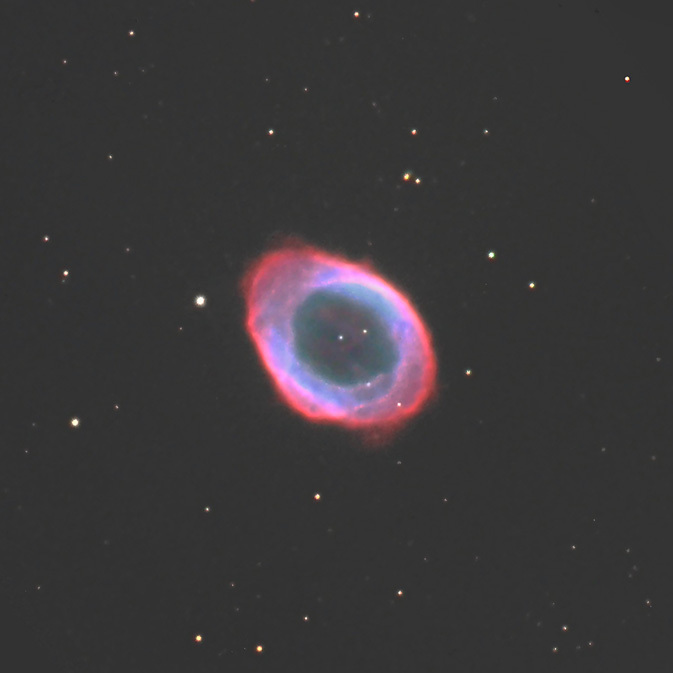 Exposure time: R,G=40 min B=60 min, HPC-1. 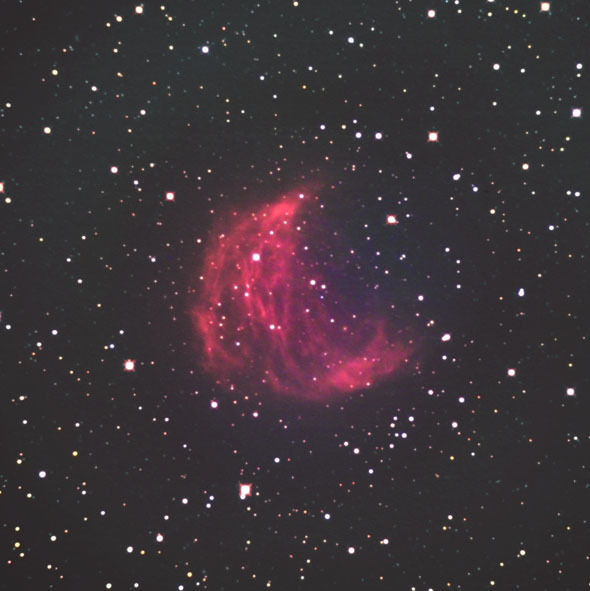 L: 20min (5min x 4) , R=G=5min and B=10min,with Tokai LRGB Type-3 filter. 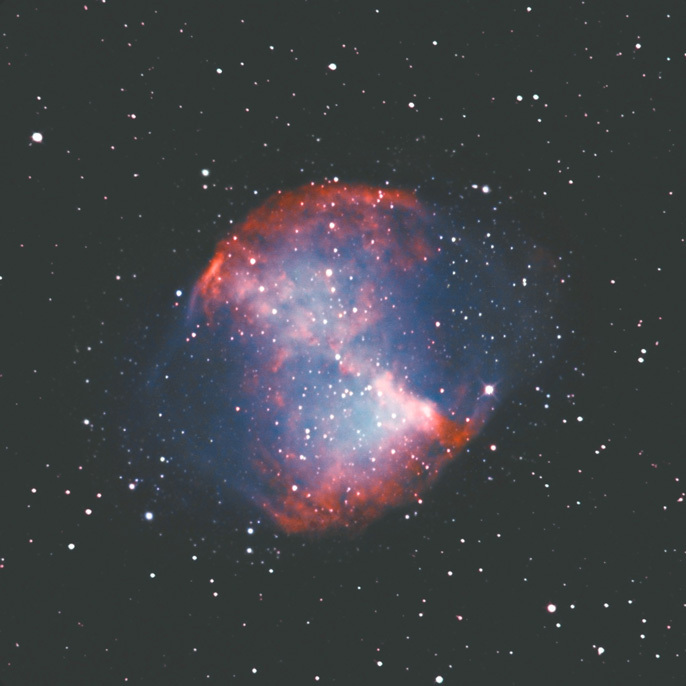 L:60min(5min x 12), R=G=5min, B=10min. 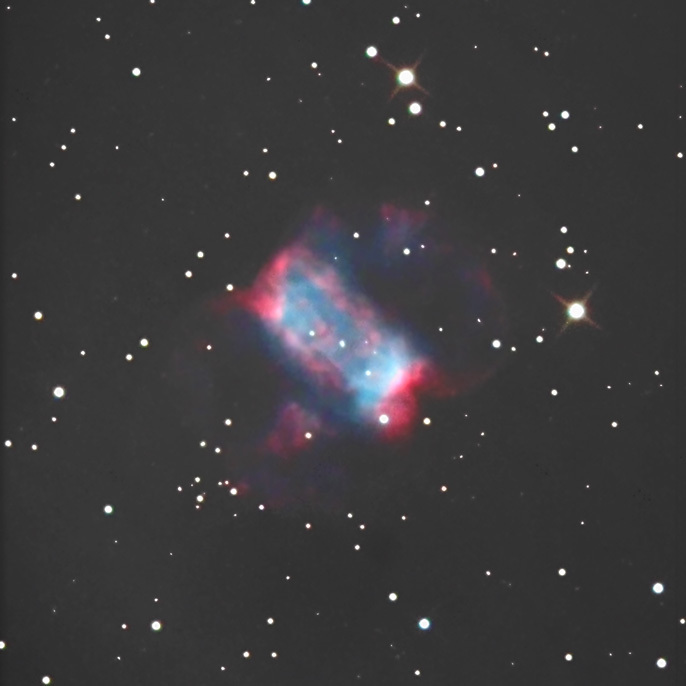 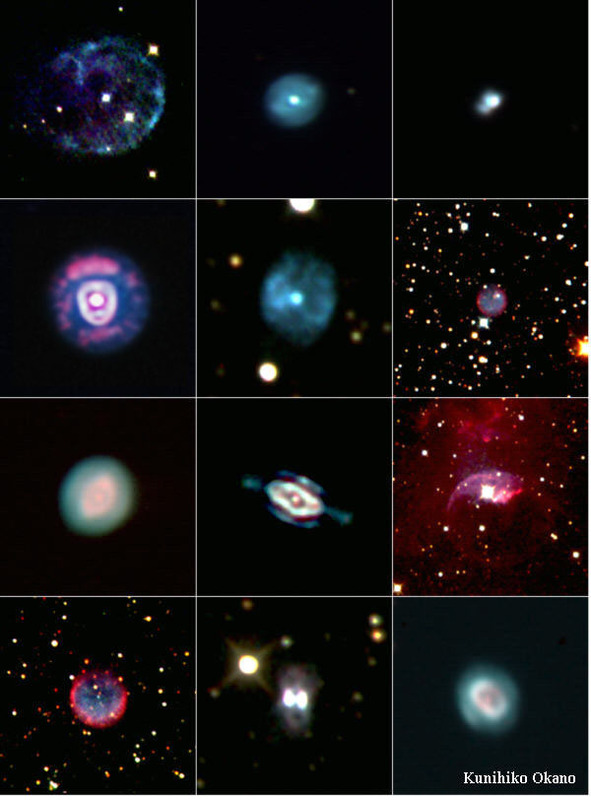 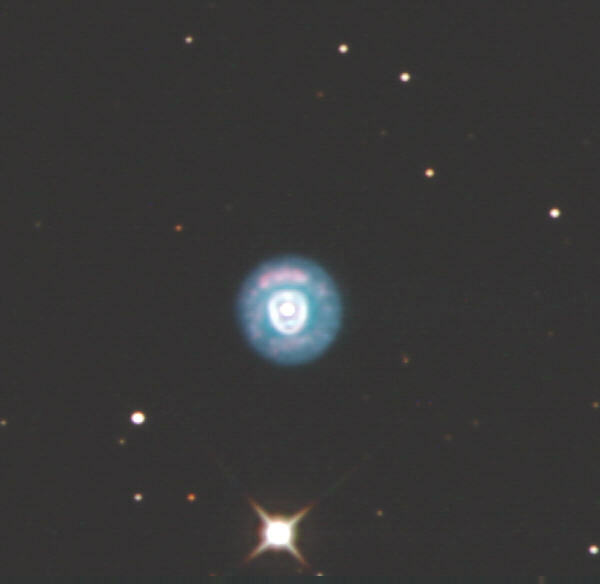 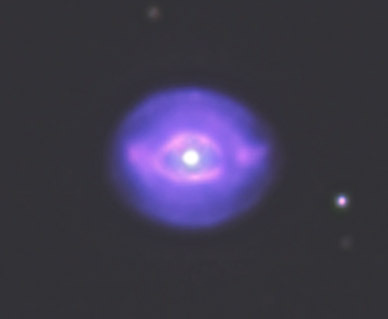 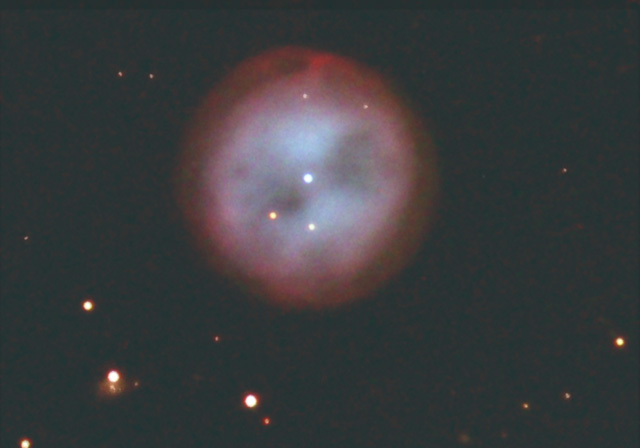 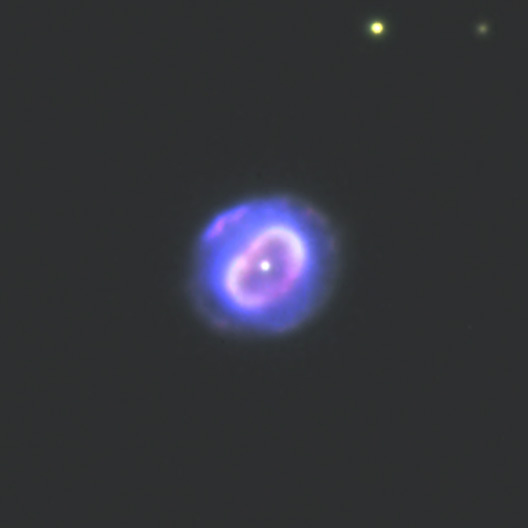 A small planetary nebula in Gemini.